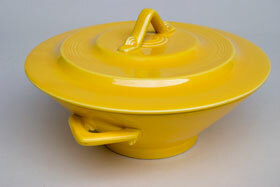 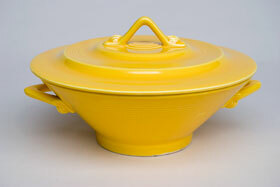 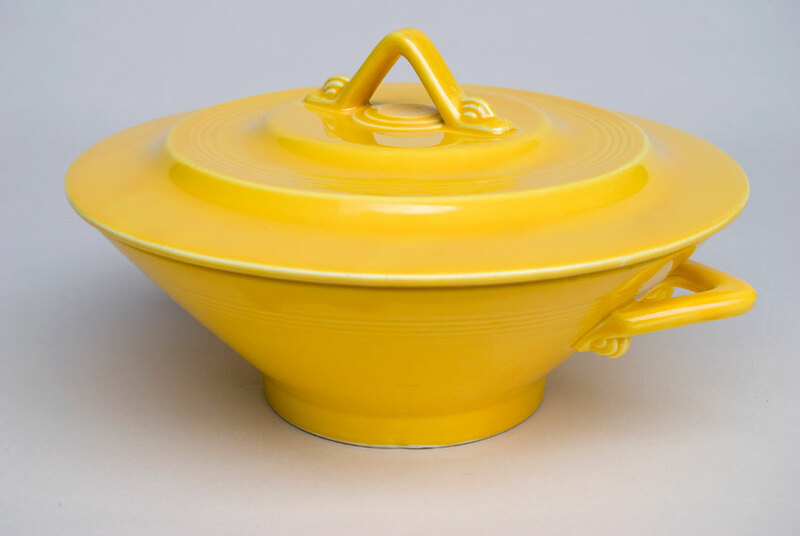 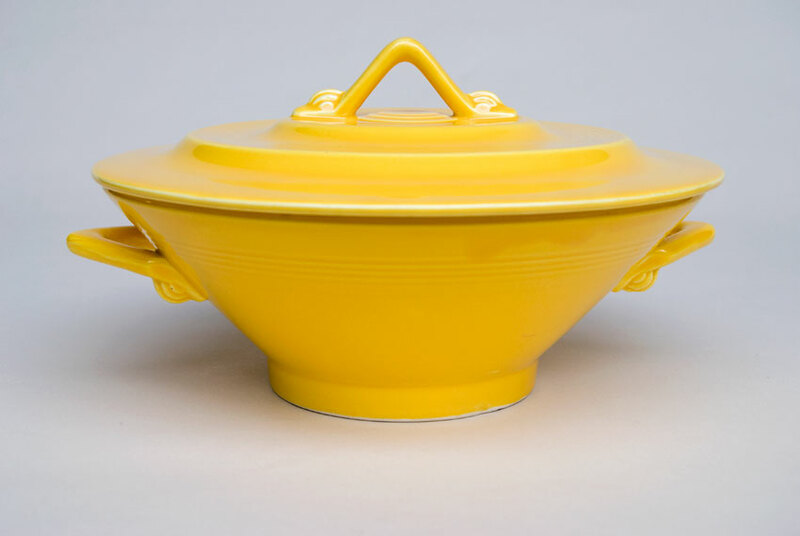 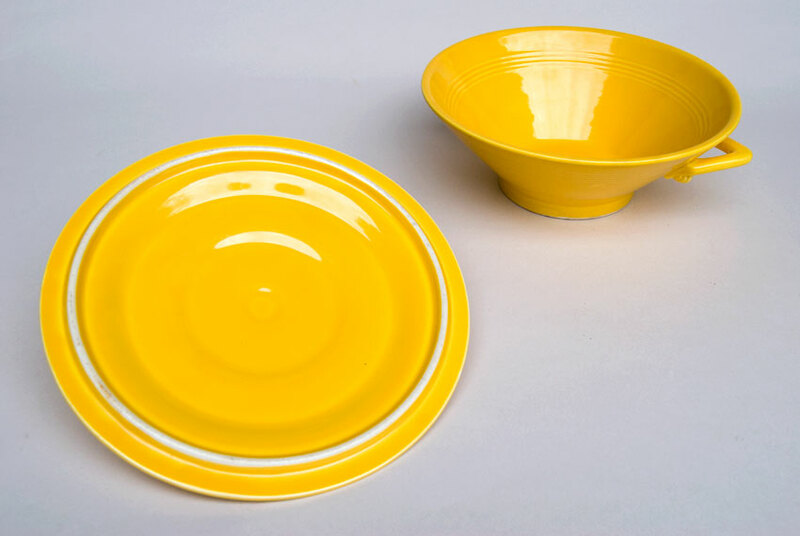 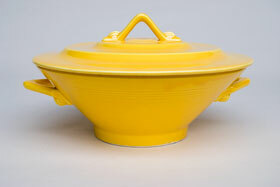 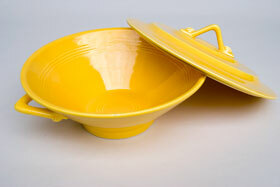 Circa 1936-1959: Vintage Harlequin pottery covered casserole in the original bright and sunny Harlequin yellow. Measuring nearly 10" wide and 5 1/2" tall, the art deco tab handles and triangular top handle are uniquely Harlequin and a delight for your solid-color dinner table. The subtle decorations abound - from the triple tear drop shapes at the edges of the handles to the bands of concentric rings to the sharp angular lines - all just great mid century design elements. 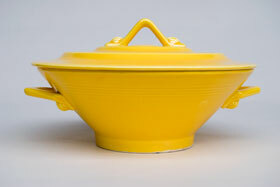 This example is in excellent condition with no damage or signs of use- just an all around super example of the vintage Harlequin covered casserole, designed by Frederick Rhead, creator of Fiesta for Homer Laughlin, designed in the 30s, with art-deco elements subtly gracing the handles and shape.